It is this time of year again. My Facebook feed lights up with wine bars offering and friends indulging in Federweisser (literally “feather white”), a German late summer/early fall wine tradition. I miss being in Germany for it, for it is one of my favorite times. Last year, around this time, I posted an article about it and I decided to re-post it, because I have many new readers. I hope you’ll enjoy! German summer is usually filled with wine festivals in the villages along Mosel and Rhine. 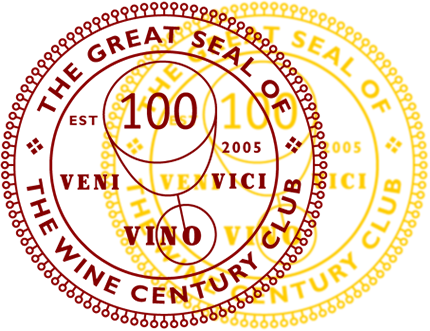 They initially began as a chance for wine makers to empty their cellars of the previous vintage and make room for their new harvest. There might still be some truth in this, but by now the festivals really are a highlight of local wines, good company and food. Along the Rhine in Rheinhessen for example, every weekend, another village will have its wine festival, so you can pretty much spend the whole summer drinking wine straight from the vintners. These festivals are coming to a close around this time of year, as the wine makers prepare for their harvest. However, that is not universally true. The world’s largest wine festival, for example, takes place in Bad Dürkheim (Palatinate) in early September. It is called “Wurstmarkt” (Sausage Market) and this year’s is – believe it or not – the 597th time they are holding it. You can find more information here. The sheer size makes it different from the village festivals. Anyway, in many parts, the harvest does not start until October, so it is a time of anticipation, checking the weather in the hope of a golden fall with lots of sunshine (for the grapes to fully ripen) and little rain (so that the grapes do not rot). And when October finally comes around, and the grapes are harvested and transported back to the cellars to be crushed and fermented, all those villages along the wine rivers will have a distinct smell hovering above them, a smell of grapes and yeast, and fermentation…to me, it is bliss. Federweisser is filled in bottles or plastic containers, but you must not close it off with a cork because of the ongoing fermentation. Usually the producer just puts a plastic cap over the bottle head and you need to transport it carefully and not lay the bottle down in the fridge. The supermarkets will carry stuff originating from Italy and other places. Fermentation in these Federweisser has usually been stopped which makes them boring and tasting slightly off. You want that bubbling still going on from fermentation. That is why it is imperative to buy it from a local winemaker. A bottle will cost you between $3 and $6, depending on winery and region, and that is a pretty good price for the winemaker because it brings in money fast (they do not have to wait for the release of their wine next year) and is less work than cellaring and storing the wines. What does it taste like? I would describe it as a grape based soda. It is sweet, it is refreshing (you drink it chilled), and very fruity. Despite the low alcohol content, these drinks can get to you fast. I am usually wasted after three or four glasses. Nina lasts quite a bit longer. We pair it with “Zwiebelkuchen” (onion pie), a bit like a pizza or a quiche with tons of onions, some cream and bacon bits on it (there are a million recipes for onion pie out there, some with meat, some with cumin…every family has their own recipe). It seems like an odd mixture, but the saltiness of the pie with the sweetness of Federweisser is great. It is hard on your digestive system, let me tell you, but it is as much a tradition in German households in wine regions as asparagus season in June all over Germany or Christmas markets in December. 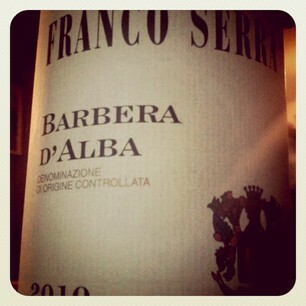 We had this wine a while back with a minestrone I made. We picked it up at Plum Market for $10, and when I checked some of the reviews on Cellartracker later, they seemed quite unanimous in that this wine is better with food than on its own. So when we had minestrone with our friends, I decided to pop the bottle. I am still very puzzled by it. I am not very familiar with wines from Northern Italy, and given that we were having a feast, I also did not bother to properly taste it and take notes. What I can say is that it worked marvelously with the tomato based minestrone I had made, giving it an herbal depth and adding distinct earthy flavors. On its own, it seemed quite tannic and acidic and I also found some slight bitter notes, but with the food this bitterness vanished. I simply could not wrap my head around this one, it was intriguing. I will probably pick up some more bottles, because I like to make minestrone throughout winter, and I really thought this pairing worked very nicely. Would not have thought that when I first tasted the wine. I definitely agree that it should be paired with hearty food. I think I mentioned it before, I am not the biggest fan of the white pinots, be it pinot gris/grigio/Grauburgunder or pinot blanc/bianco/Weissburgunder. Both often fail to impress me when I try the wines by themselves. I think they can be decent food companions in that they can complement certain types of food. For me, one of these foods is risotto. I usually use a pinot grigio or soave or orvieto for the risottos I cook, and the pairing for dinner works. Be sunny. Be Breezy. Be Bright! 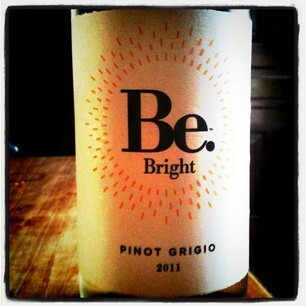 This effortless Pinot Grigio keeps things light, with sun-ripened citrus flavors and a crisp, fresh finish. An instant taste of optimism, perfect for setting a carefree mood at any occasion. Serve chilled for total deliciousness. Well, we tried the wine and here is what I think. It was light in color. The nose was dominated by very prominent bosc pear aromas, which made it hard for me to detect other aromas. On the palate, pear dominated again with some hints of peach coming in later. I did not get any of the claimed citrus flavors that could actually have helped this wine a lot. The finish was short, which is okay for a pinot grigio. However, there were also slight bitter notes which I did not fancy. All in all, I guess this is an okay wine. It just did not do much for me, because it felt too heavy and lacked interesting notes. It also did not pair too well with the risotto I had made, a mushroom-porcini risotto, probably because of the strong pear flavor. However, I always have that risotto with white wine and never really had a problem. I don’t know. I will definitely not go and buy another bottle, it was just not my taste.